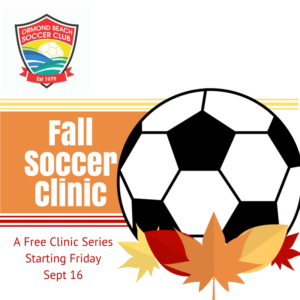 A series of training clinics conducted by Ormond Beach Soccer Club’s Competitive Coaches exclusively for registered players of Ormond Beach Soccer Club ages 6-14 that want to enhance skills, build confidence and have fun! Players will be grouped by gender and age and the sessions will consist of technical station training and small sided scrimmages. Players will work on passing, dribbling, shooting, receiving skills, tricks and turns, co-ordination and the basic principles of attacking & defending. Goal Keeper Training for players of all ages in both the Recreation and Competitive Programs will also be available during the same sessions! The program elements will focus on the fundamentals of the position, in addition to elements of field play!